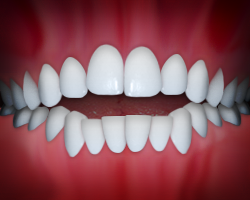 The upper front teeth overlap the lower front teeth too much. 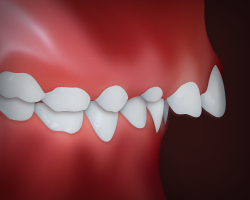 Many people have some overbite, but when it’s too large, it can lead to a variety of problems, including excessive wear on the teeth to jaw pain. 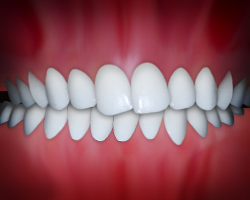 The lower teeth extend farther than the upper teeth so that the upper front teeth bite behind the lower front teeth. Underbites can cause difficulties eating or speaking, chronic jaw or joint pain and excessive wear on the teeth. Some of the upper teeth bite inside the lower teeth rather than on the outside. A crossbite can lead to chronic headaches, jaw pain or popping, excessive wear and asymmetrical smile and facial features. 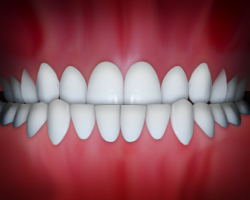 The upper and lower front teeth do not overlap or make physical contact with the jaw is closed. Open bites can cause problems biting, chewing and speaking, excessive wear on the back teeth and tongue-thrusting. 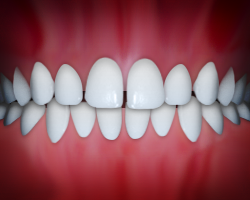 Teeth become crowded when they have insufficient space to erupt. Crowding can lead to poor dental hygiene and periodontal disease because of the areas between teeth that are difficult to clean. 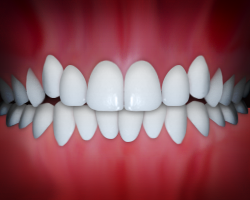 Spacing is a condition in which the front teeth have large gaps of space between them. 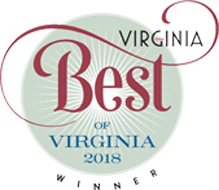 Most patients won’t experience dental problems as a result of spacing, but it’s not aesthetically pleasing and can have an effect of self-esteem. 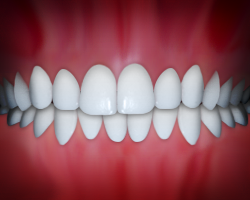 Also known as “buck teeth,” the upper teeth extend too far forward or the lower teeth do not extend far enough forward. This protrusion can cause problems eating or speaking and lead to excessive wear on the teeth. The center lines of the upper and lower teeth are skewed, causing the back bite to not fit appropriately. This condition can lead to excessive wear on the teeth and problems with jaw function.